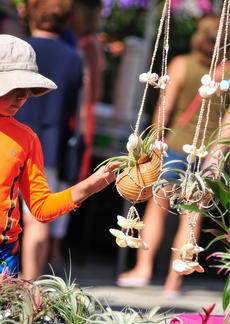 The Lake Sumter Arts and Crafts Festival is slated for Feb. 10 and 11 in The Villages. The free outdoor event will features handmade in the USA crafts and a full green market and will be open at 10 a.m. both days. American Craft Endeavors (ACE), producer of some of the nation’s most exciting high-end juried craft shows in many Florida destinations, brings more than 200 artists and craft artisans to The Villages® community. Considered the top destination for the artisans, The Villages® is one of the first locations to fill all of the gallery-style booths which will line The Lake Sumter Landing location. 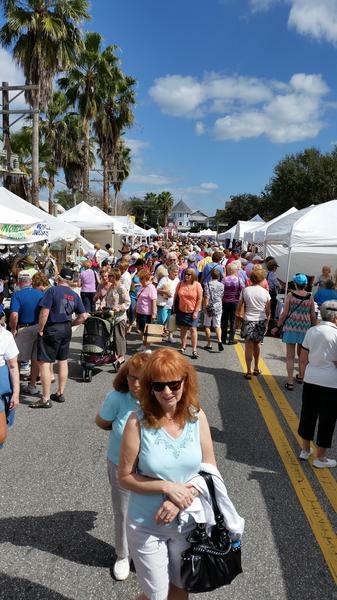 Whether looking for pet products, folk art, pottery, jewelry, paintings, personalized gifts, handmade clothing, scented soaps and body products or other specialty green market items, the Lake Sumter Art & Craft Festival has something to suit every taste and every budget. Vast array of craft mediums from folk art, pet products, pottery, handmade jewelry and paintings, to personalized gifts, handmade clothing, scented soaps and body products. Prices set to suit all budgets, ranging from as little as $15 to $3,000. About American Craft Endeavors: American Craft Endeavors (ACE) produces some of the nation’s most exciting high-end juried craft shows in many of Florida’s vibrant downtown areas and popular tourist destinations including the Downtown Stuart Craft Fairs (Stuart, FL), the Siesta Fiesta Craft Festival (Sarasota, FL) and the Downtown Sarasota Craft Festivals (Sarasota, FL) among others. 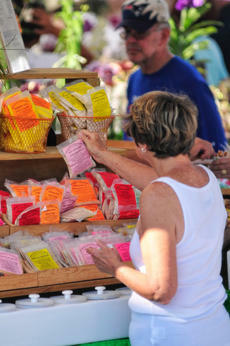 The group’s founders personally select unique, culture rich cities for their show locations providing a complete outdoor experience unmatched by other festivals. Crafters will submit examples of their work and then will be invited to participate in the festival from hundreds of applicants. This process ensures a superior event featuring diverse art media and the highest quality of original handmade crafts.